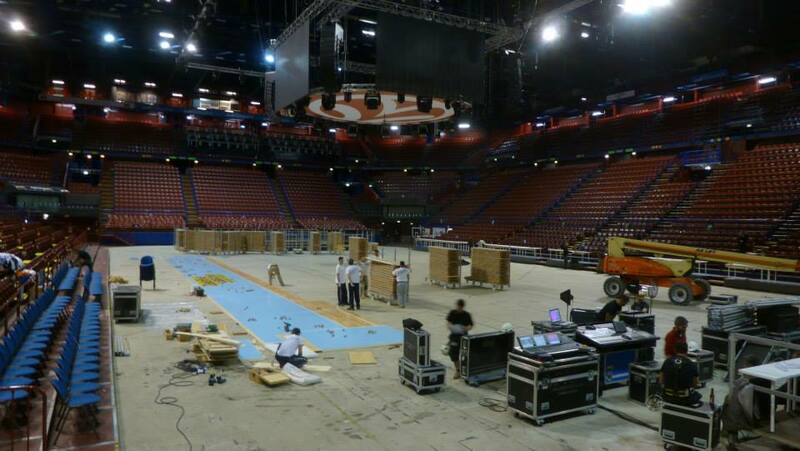 Portable sports parquet Dalla Riva for the most important European basketball trophy of the year! 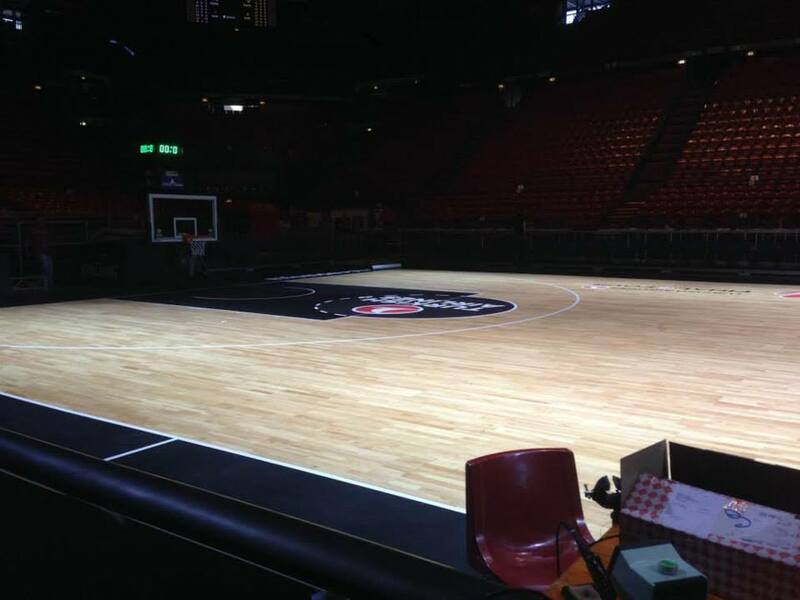 Portable sports parquet Dalla Riva for the most important European basketball trophy of 2014! Simply amazing. 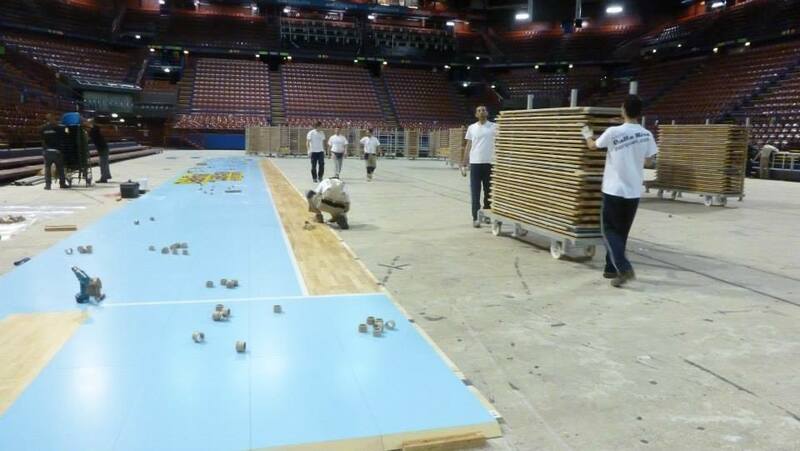 The most important international basketball event of the year will be played on one of the newest portable sports flooring by Dalla Riva Sportfloors! 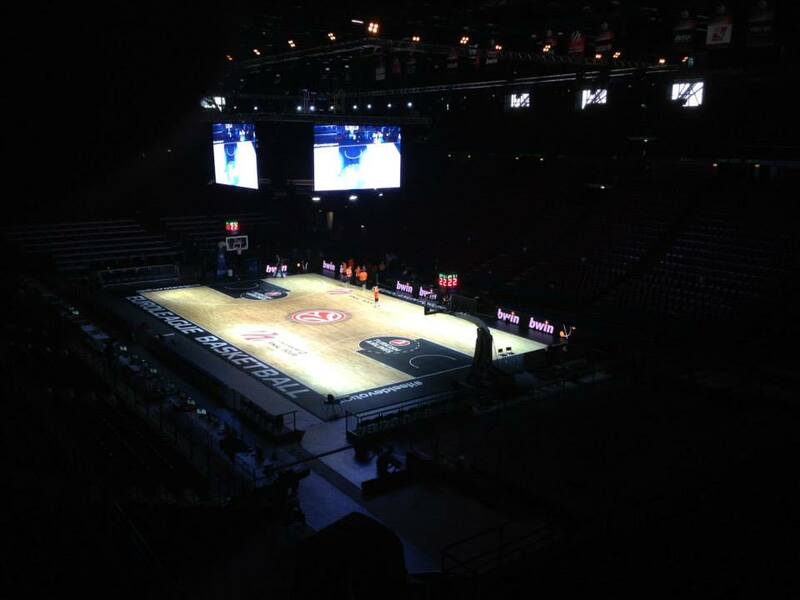 The “Turkish Airlines Euroleague” Final Four snaps today to “Mediolanum Forum” Assago-Milan with the semifinals while the next day, Sunday, May 18, 2014 are provided for the races counting towards the award of the title and third place. 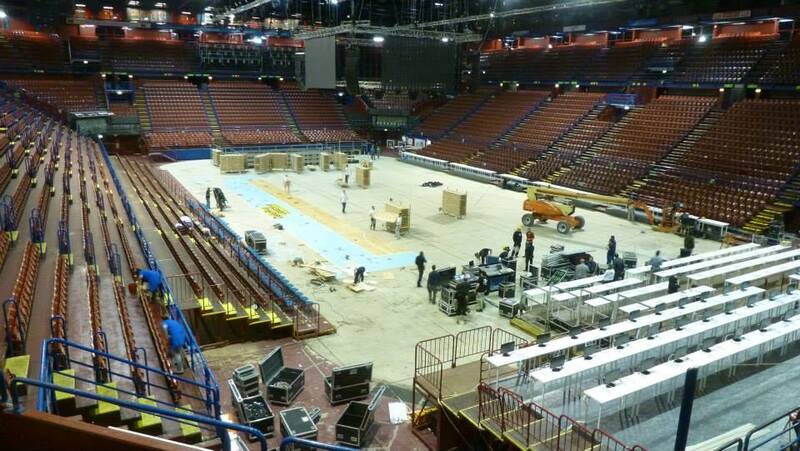 It is probably the most prestigious sporting event in which the company Montebelluna has ever been involved in its thirty activities. 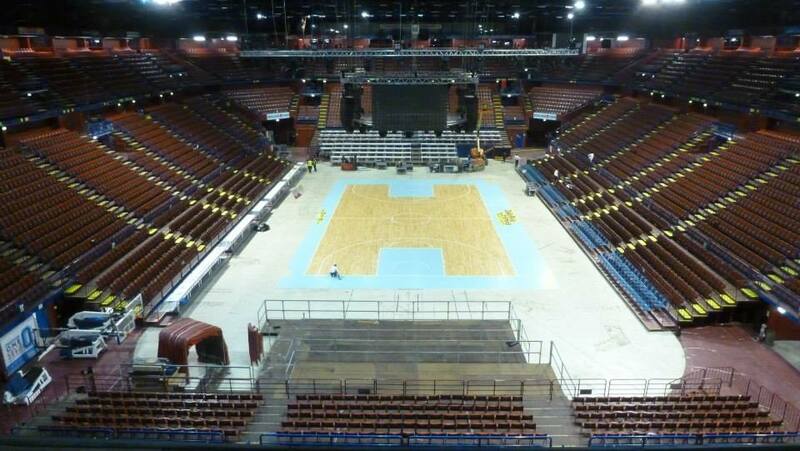 An outstanding appointment as at least “Basketball on Board”, in July 2012 at the port of Taranto, during which, the initials DR, camped on another assembled floor mounted on the aircraft carrier Cavour to allow the playiing of a friendly match between the National of Italy and Sweden Under 18. 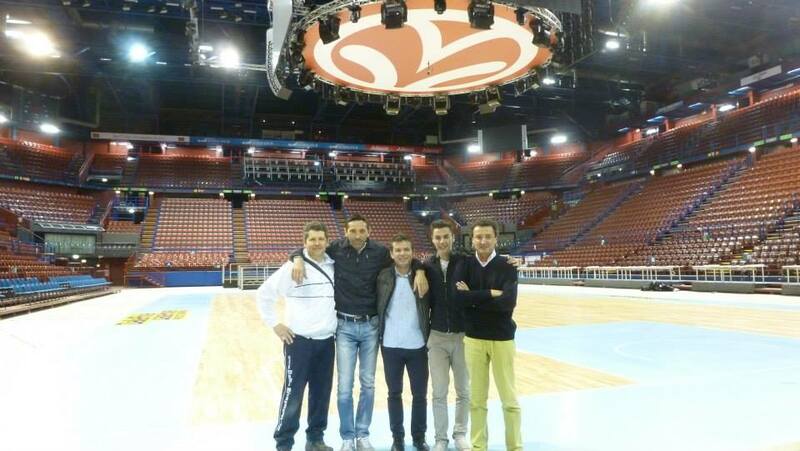 For prestige, however, the basketball festival in Milan (18 nations represented or belong to the FIBA Europe with defending champion Olympiacos) has certainly not equal. 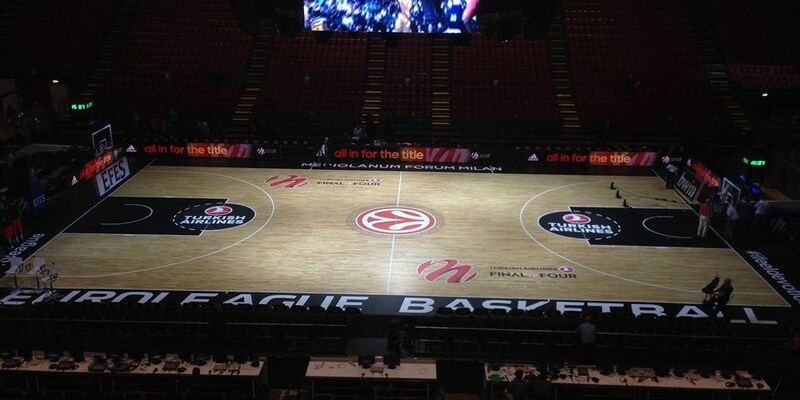 Real Madrid, Barcelona, Maccabi Tel Aviv and CSKA Moscow, four of the clubs that have made the history of basketball in Europe will compete for the continental trophy in 2014 in absolute most coveted, in an arena (over 13 thousand seats) which has long run out and admired by all the television of the globe; a Final Four to which, only by a whisker, failed to reach even the Ea7 Olimpia Milano, the home team. 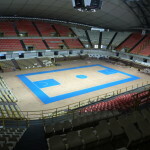 For the final games of this highly anticipated competition, the organizing committee has chosen “Dalla Riva Sportfloors” and its portable sports parquet thanks to the references and the unanimous approval from the “Mandela Forum” in Florence, the sports hall in which Montepaschi Siena played in the preliminary stages of the Euroleague; even then, the experts had to turn to Dalla Riva Sportfloors for a newly designed portable sports floors. 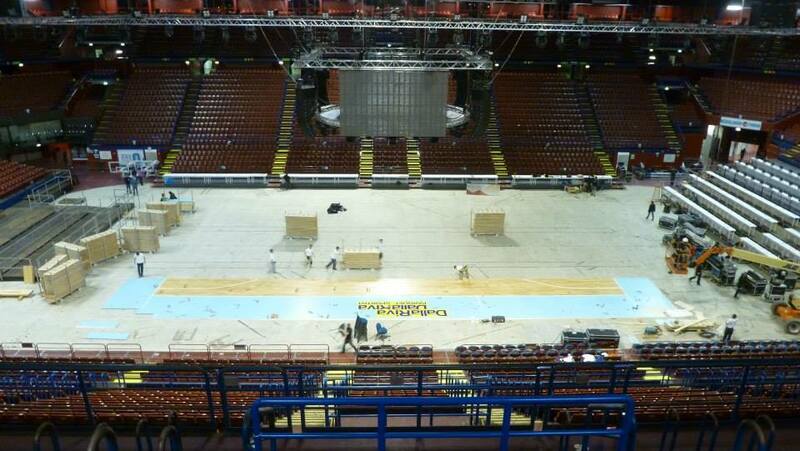 The field will be customized with logos and colors black swirls by the international organization. But the “contract” which comes from pleasing Milan not end. 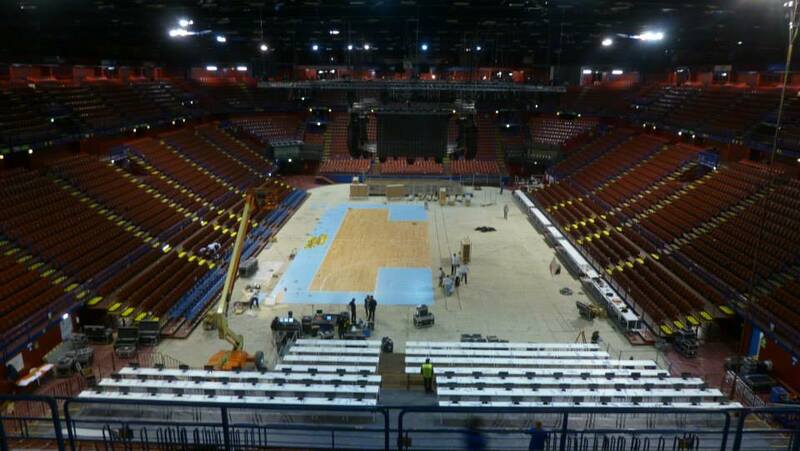 In these days, in fact, during the famous “Nike International Junior Tournament” (another appointment that, in Milan, but in a marquee specially built to Palalido, will surround the highlights Euroleague) the company of Monteblluna was asked to provide another removable wooden floor! 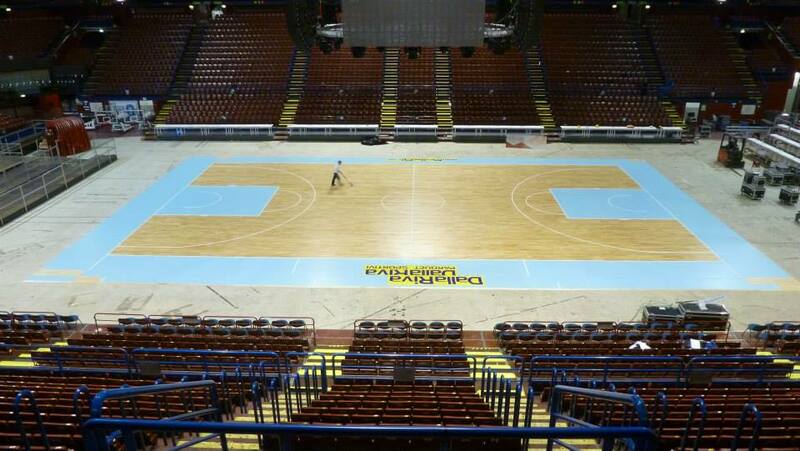 There are therefore two portable sports floors, that with great pride, only the Venetian industry has managed to ensure the realization of this amazing basketabll show beating competition from many other competitors. In short, a swirl of emotions and huge professional satisfaction to which the owner of the firm is hard to remain indifferent: “From Montebelluna I can be proud to have in some way brought a product from our town to the forefront of the European – confesses Luigino Dalla Riva -. 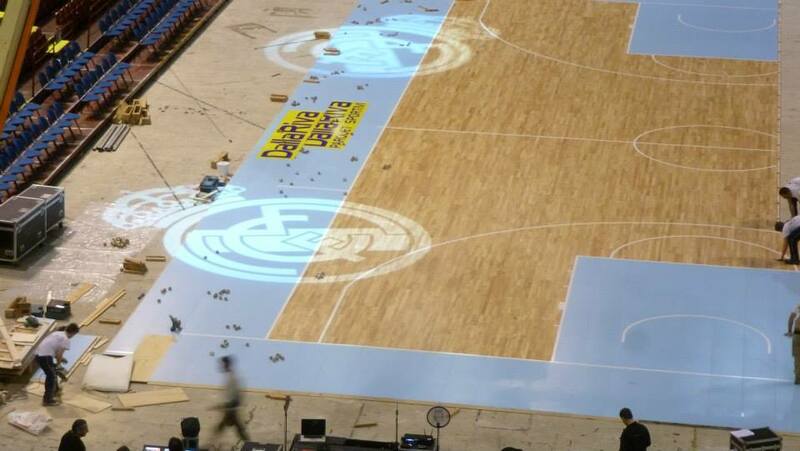 This great recognition from the basketball that counts consecrates us definitely among the leading companies in the sector in the world and rewards us for the choices made and the business strategies adopted just when economic gentler “. 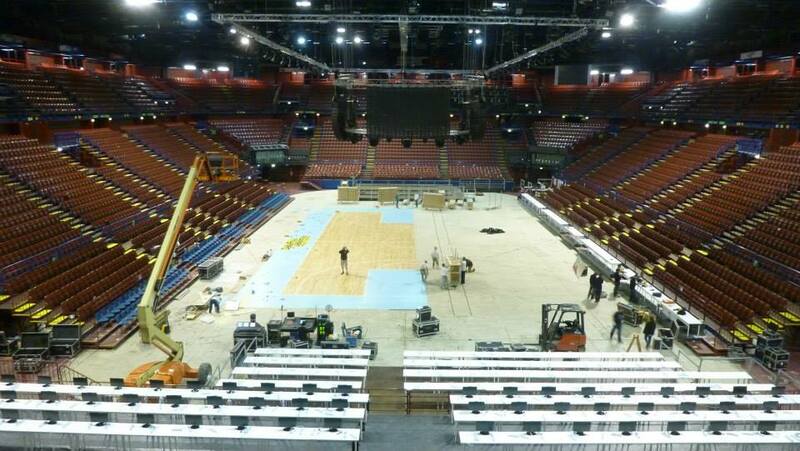 Sportingly speaking, Dalla Riva has succeeded there, where they had failed both Siena and Milan, carrying, with its portable sports parquet made in Montebelluna, a bit ‘of Italy to the finals of one of the biggest sporting events of the year. For this occasion, in Milan, Italy is Montebelluna thanks to Dalla Riva brand.